Description:Mud cleaner is combined with Desander/Desilter hydrocyclone and bottom shaker. 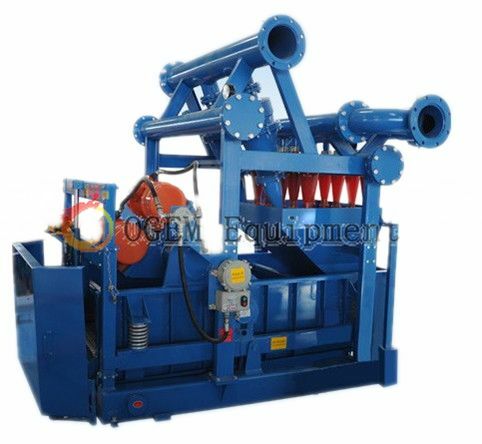 Mud cleaner is combined with hydrocyclone desander, desilter and bottom shaker. So we call it “Three in one” also. During drilling fluid solids control, it is 2nd and 3rd phase process. You can choose AJQ mud cleaner instead of separated desander and desilter. Low cost on operation and maintenance. 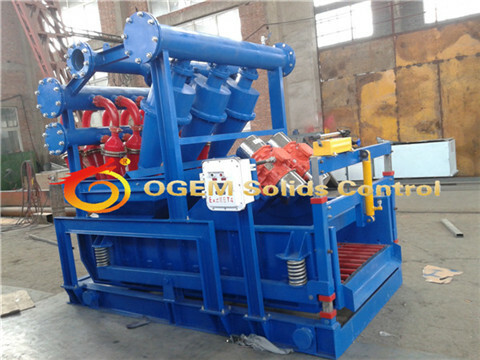 OGEM Solids Control is thet professional manufacturer of Solids Control System in China, OGEM is a vital part of the world hydrocarbon exploration and production industry, as well as one of top three solids control equipment suppliers in China, which offers its products for CNPC, CNOOC ,HH, Gazprom, RG, etc . If you want to know more information about solid control system and oil drilling solids control equipment,you can contact us online.